If anyone has not yet been convinced that the trouble with Centrelink is more than a rogue robo debt collecting system, this should do it. A Fairfax journalist was briefed by a Centrelink official, about the personal details of a critic. The purpose was to publicly silence her. Not only does this run counter to privacy law, it is a smoking gun that shows there is no intention to fix the Robo inquisition. The blame can’t be put on a computer. Unfairly hounding of individuals is policy, designed to cut the welfare bill. When, for example, individuals being forced to go on Newstart, despite the reality that their chances of finding a job are meagre, the only tangible result is a fall in an income that was already close to the official poverty line. This suggests that the real motive is the saving of dollars and not transitioning those affected into work. For the government, this is about achieving spending cut targets. In this case Andie Fox, a blogger wrote an article for Fairfax Media, criticizing a notice for a debt she didn’t have and the subsequent runaround she experienced. Centrelink sought to publicly discredit her for the effort, by means of briefing a carefully chosen journalist, who could be trusted to pen an anti Andie Fox and pro Centrelink article. Never mind that this is unethical. Paul Malone was happy to oblige. In a gutter piece, devoid of any investigative merit, he went on to do a hatchet job on Andie Fox and paint a public relations makeover of Centrelink. She had by implication lied and everybody is unfairly having a go at Centrelink, which does a marvelous job. To add icing to the cake, George Brandis is given the reasonable fellow treatment and Department of Social Services senior management are really very nice. By implication, those who complain are up to no good. The footnote is that they deserve to be punished. This fits in well with the federal government’s ongoing profiling all recipients of Centrelink benefits as undeserving, as typified by Joe Hockey’s line about “leaners.” Since then, they have been systematically accused of sponging on other Australians. Profiling like this justifies any indignity that might be inflicted. After all, bludgers are not worthy and deserve to be punished. Paul Malone has joined in this game. This is the backdrop to the robo debt recovery system and the long list of other imposed punishments. Fixing the problem requires more than changing a computer program. Angie Fox’s is not the only case. Centrelink, is to be intending to do the same to others who complain, according to the Malone’s article. One thing is conveniently put aside. Driving the federal government is a mania to cut government expenditure. Cutting the welfare bill is a major part of this. It is not a need, but an ideology, expressed as neoliberal or austerity economics. This way of thinking is imposed down through the Department of Social Services and through Centrelink. Consequently, management sees itself as not running and organisation existing to meet welfare needs, but as a kind police force, entrusted with the job of finding and punishing all who apply for benefits, on the assumption that all are guilty of wrongdoing. Anyone working in welfare and left with the task of trying to fix the consequences, knows that this is true. So, do front line staff who come face to face with the victims. More are whistle blowing, staff turnover is horrendous. There is talk of industrial action. Profiling is a disease that has infected Australian society and in this case, as a means to justify spending cuts, hide the fact that government policies are a major contributing to fewer jobs and more poverty and to set up a group of Australians to blame for the problems. 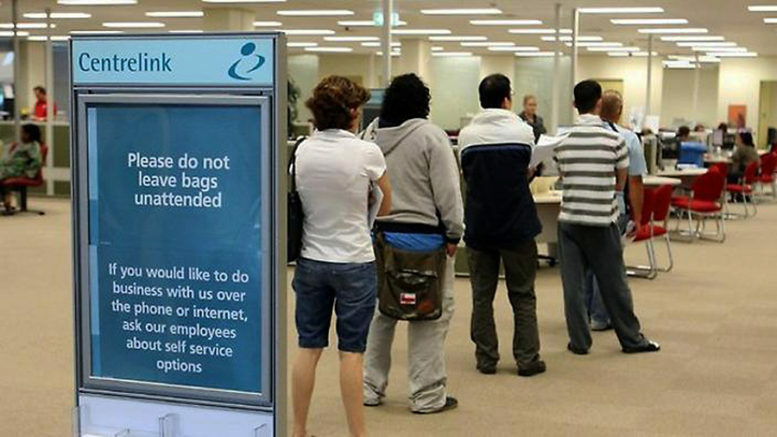 If welfare was regarded as an entitlement for all who found themselves in circumstances, where they did not have enough income to get by, without discrimination, none of this would be happening, Centrelink would not be the most complained about organisation in Australia and its management would not have to resort to underhand ways to make themselves look good. 2 Comments on "Centrelink is now using private information to silence critics"
The govnment want to genocide the poor through pushing them to suicide.